In a season when major Boston institutions such as the BSO and Handel and Haydn Society continue to assert that women and minorities wrote no music worth hearing (with the BSO offering only occasional tokens as exceptions that prove the rule), it is important to notice the efforts being made by organizations that celebrate the works of usually marginalized groups. Castle of Our Skins is such an organization, offering both concerts and educational programming. On Saturday at the Boston Public Library (McKim Building), they offered an “edu-tainment” string quartet event of just over an hour that was mostly concert, but framed with insightful and lively remarks by violist Ashley Gordon (Artistic & Executive Director). The other musicians were Megumi Stohs Lewis and Mina Lavcheva, violins, and Michael Dahlberg, cello. COOS’s name is drawn from the 1972 “Poem (for Nina)” by Nikki Giovanni, that urges a celebration of black identity. Valerie Coleman’s Umoja came first and also gave its name to the concert. In Swahili “Umoja” means “unity” and is also the first day of the holiday of Kwanzaa. Coleman, the flutist with the Imani Winds, has also composed a number of well-known works for that ensemble. She has arranged Umoja in several versions, and it was very effective for string quartet. The short melodic phrases move from instrument to instrument, like a sung call in antiphonal treatment, supported by an undulating accompaniment, that also moves from instrument to instrument. As the opener it instantly engaged. Then followed two movements from the third quartet by Joseph Bologne, Chevalier de Saint-Georges (1745-1799), known as the first classical composer of African descent. Saint-Georges’s extraordinary life ought to draw attention to his music, but perhaps it instead does the opposite. How could a French nobleman with African heritage, acclaimed fencing champion and colonel who organized and led a cavalry brigade on behalf of the French revolution, also be a composer and violinist of the first rank? While I’ve collected recordings of the Chevalier, I believe this was my first opportunity to hear a live performance of his music. It was completely delightful. In the graceful and elegant Allegro Assai, while the first violin dominates the musical fabric, the other instruments do have an active role, sometimes echoing or responding to the swirls of melody of the first. The Rondeau felt sprightly and energetic; the antecedent phrase of the main theme used an expansive and unexpected rhythm, and the repetitions of the sections were not formulaic, so it varied Rondo conventions in a refreshing way. Jessie Montgomery, whose music I know through her wonderful CD, Strum, won the Sphinx Organization competition (as a violinist), and performed in its orchestra and string quartet. Sphinx was founded 20 years ago “to address the stark under-representation of people of color in classical music,” so Montgomery can be counted as one of their successes. Voodoo Dolls begins with a with a frenetic Latin ostinato; first tapped and then bowed, this rhythmic pulse propels the entire piece. The first violin enters with a jazz infused melody, sliding and wailing evocatively, the other instruments join in fervently. Eventually the ostinato moves to a ghostly upper register, with the melody decaying to fragments, mournfully repeated and varied. The rhythmic vigor returns again before the peroration. This piece, like much of Montgomery’s music, is genre-defying in its influences. It was at times haunting and always compelling. Based on folk melodies, William Grant Still’s very pleasing Dances de Panamá date from 1948, when Still completed his opera “Troubled Island,” about the Haitian revolution, so the dances can be understood as part of this Caribbean preoccupation. “Taborito” (meaning small drum) began four-piece-set. An intimate couple dance with intricate footwork, the Taborito is described by some as the national dance of Panama. Still’s version had the musicians tap their instruments to serve as percussive introduction, followed by exchanges of a lush, sensual melody. The more sprightly middle section also included some heavy accents. The second dance, “Mejora y Socavon” is named for folk instruments of guitar family. A lilting triple-meter melody (accompanied by strumming effects) is countered by a brusque duple meter section, which is also recalled for a rousing coda. “Punto” was next, and had the strings don their mutes for some melancholic and sweet exchanges. The vigorous finale, “Cumbia Y Congo” recalled the tapping percussion followed by driving repeated-note ostinati. The simple melody was at first rustic, and then more syncopated, and finally vigorous and bold, and rousing. The set was meaningful as a group and the performers infused it with exhilarating energy. While Still is best known for orchestral music such as his Afro-American Symphony, these pieces for string quartet certainly suggest that a wider range of his music should be better known. 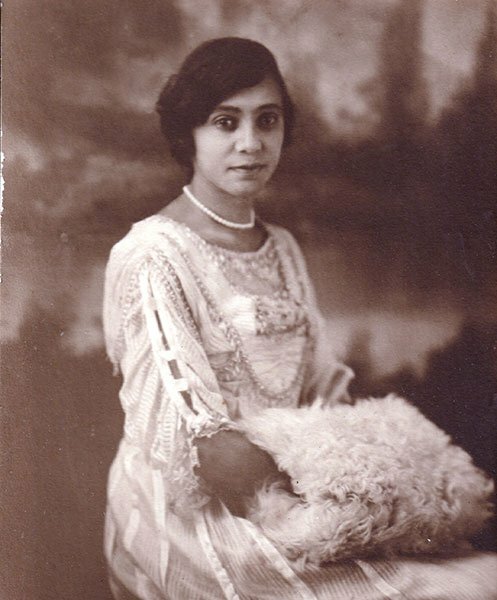 The first African American woman to have her music performed by a major orchestra, Florence Price (1887-1953) pioneered in many ways. Both her piano concerto and her symphonies were widely performed, and Marian Anderson kept several of her songs in her repertoire. For a very long time I’ve been curious about Price’s Five Folksongs in Counterpoint; nearly eight years ago I got to hear the Lydian String Quartet perform two of the movements at Brandeis. That only intensified my desire to hear the whole set; thus I was very nervous when Gordon suggested that they would have to cut out some of the movements in order not to go over their allotted time slot. Fortunately, both the library staff and the audience urged the group to proceed with the full set. The two outer movements, “Calvary” and “Swing Low, Sweet Chariot,” were the most serious, in keep with their origins as spirituals. The melody of “Calvary” is short, two phrases, but these received a reflective and thoughtful treatment. “Clementine” reminded me about Price’s training in organ (at the New England Conservatory) and her practice as a church organist (and also as a cinema organist and pianist), with its many inventive turns and twists of harmony with this melody; the modulating passages between the stanzas were adventurous and even developmental. The grandiose ending was done with tongue-in-cheek. “Drink to me only with thine eyes” offered warmth and sweetness, but also some wry humor, as in the virtuosic phrase ending that violin I flicks off, or the momentary turn to impressionism with the theme stated in an exotic whole tone form. “Shortnin’ Bread” was lively but still replete with chromatic twists, with the richness of the harmony contrasting with the simplicity of the tune. “Swing low” began with a stirring cello solo and then moved on to emphasize the contrapuntal, with fugal passages and fragments of the melody heard in augmentation and inversion. Finally, Violin I recalls the theme in bold octaves, and the quartet joins in magnificent flourishes to end the movement with grandeur. Written in 1951, they reveal Price in full command of her lush, post-romantic vocabulary. A drizzly and dreary Saturday afternoon did not deter a sizable audience, which filled not only the 50 chairs, but also stood, and sat on the benches in the back. The audience highly diverse audience included very attentive children as well as elders, not to mention a range of ethnicities. Noise from patrons passing by in the hallway and a hum of a ventilation system in the BPL’s Gustavino Room plus the lack of any acoustical shell under the high patented-tile ceiling resulted in some notes of Stohs’s high register seeming thin. The performers otherwise brought an excellence of great energy and excitement to their music making. I applaud them for seeking out important repertoire and sharing these discoveries. If this program intrigues you, catch it at the Isabella Stewart Gardner Museum’s Opening Our Doors Day, Monday, Oct. 10 at 10:30 a.m. and again at 11:30 AM. On this free admission day, lines form early. Liane Curtis deserves a standing ovation for her advocacy for composers and performers of music that richly deserve to be heard. Thank you for another wonderful review of an important event. Thank you so much Liane for coming to the performance and capturing our energy and efforts so well! It’s incredibly inspiring to be involved so deeply in such necessary work as I’m sure you would agree. We look forward to sharing this music with many more on Monday at the Gardner (10:30 and 11:30 am).